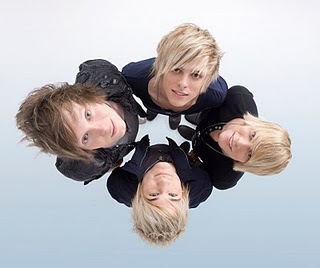 New York Based pop punk band Stereo Skyline formed in 2006 and have released 2 albums to-date, their latest, The Good Life, on the 1st of November. The first single from The Good Life was Kiss Me In The Morning was a solid effort but their new single Man I Think I Love Her is a great pop song sure to give their album a kick start their album sales. Signed to Colombia Records Stereo Skyline are a little bit Hanson, a little bit Jonas Brothers and are being groomed to be the next big thing from the label and they’re currently filming the video clip for this song. Big fans of Ke$ha, Backstreet Boys & Britney, these guys have the makings of the next big thing – and you saw them here at SCP first!